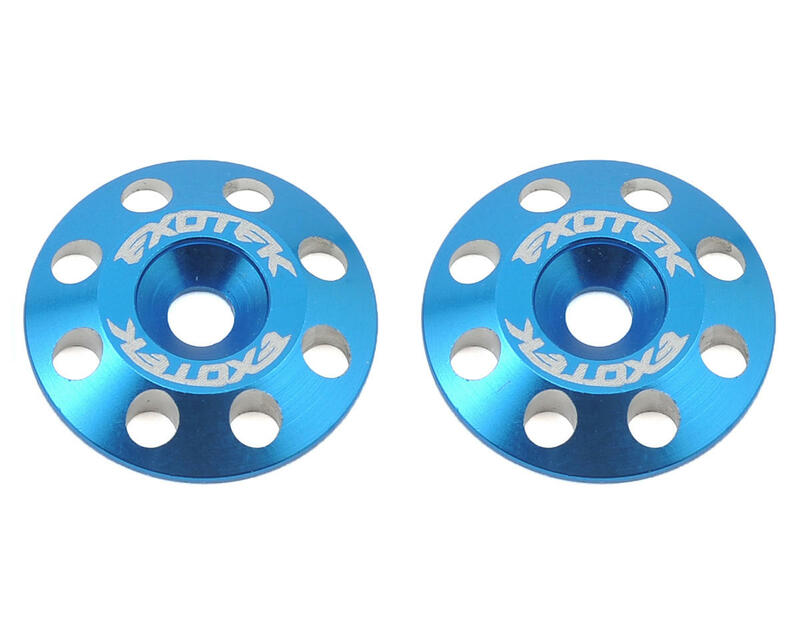 Exotek Flite V2 16mm Aluminum Wing Buttons are lighter and sleeker than ever. 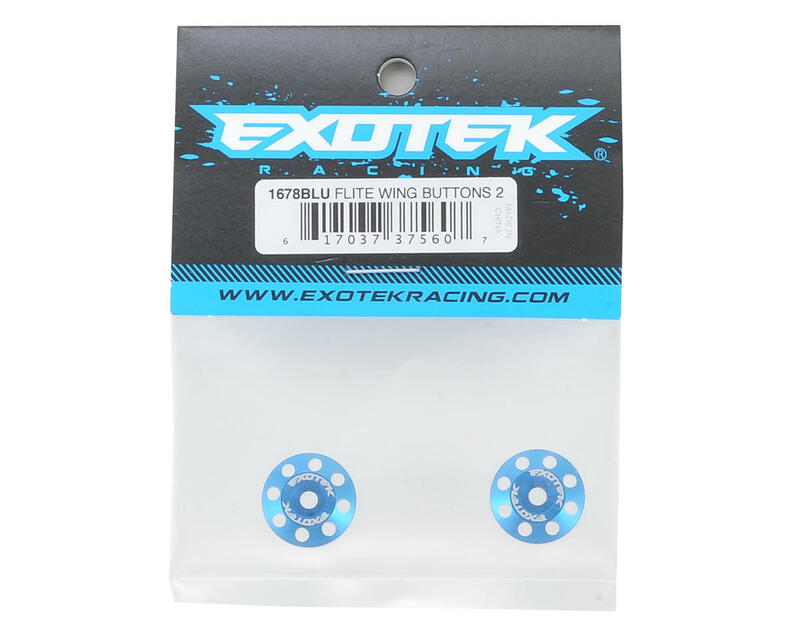 These wing buttons are used on 1/10 buggies and touring cars that use a bolt on style wing, and are available in the hottest team colors. The large 16mm diameter holds the wing securely while the large surface area helps to add protection from crashes. NOTE: Requires the use of 3mm countersunk screws, not included.